Benefit from the latest modern ear piercing and nose piercing techniques while you enjoy a traditional approach to improving your emotional health and well being. 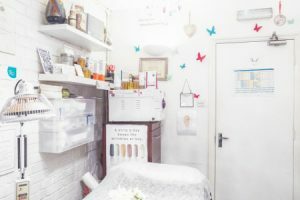 At the Dandelion Wellness Centre, we have done everything we can to create a relaxing, welcoming space based on ancient principles – as well as a hygienic clinical environment where we carry out your actual ear or nose piercing. Whether you want to empower your look with a large statement piece, add a sophisticated stud or use the power of piercing to enhance your internal sense of wellbeing, your health, sleep patterns or energy levels, we are ready to help you. We work with you to select the exact points you would like your nose or ear piercing to be positioned. Our piercers are VTCT Accredited and trained by the London Piercing Academy, so they can guide you based on your personal objectives and what you want to achieve with your piercing. This might be a certain aesthetic, desired health improvements or a combination of the two. The highly experienced piercer who you will be working with will custom fit your jewellery to you. This means that your look will always be one-of-a-kind, as well as being perfectly sized and aligned. You will get full aftercare after your piercing too, including professional advice regarding when and how to swap your stud. If you opted for placement in your ear lobe this could be around four to six weeks. Other places can require a little longer. Instructing you in the proper care of your piercing after it heals is a natural part of this. It is something that we do every time, even if you have already had many piercings before this one. When it comes to piercing places, a lot can come down to the look you want to achieve. But, in the traditional approaches which all of our qualified piercers are highly experienced in, it is really all about the energy. That’s why we have tried to create a piercing studio where relaxation and a feeling of peace come to you easily. If you have already had a piercing before, you will know that the experience can be very exciting. Yet it is also an excellent way to see significant improvements in many aspects of your health and wellbeing. If you suffer from difficulties sleeping, low energy levels oreven problems with your menstrual cycle, a piercing may offer a solution. This modern approach to sterilisation and hygiene is paired with our adherence to the age-old philosophy of Shoshin. A key part of this philosophy is to always be learning – to be a “student for life”. This means that we listen carefully to everything you tell us about your goals and requirements. This philosophy also means that we always stay on top of the latest developments in style, fashion and technique. Whether you need to know if a modern trend might be right for you – or you have an effect you want to create and are wondering if there is any traditional approach which might achieve it for you – we are bound to know at least a little about it. Acupuncture has been a part of traditional Chinese medicine for hundreds of years. 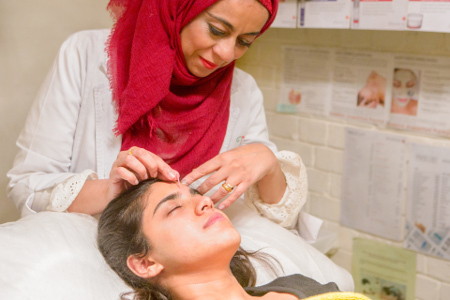 The practice involves gently inserting needles into key points in the body – known as acupressure points – to ease and improve the energy and blood flow. The principles of qi or Chi explain how restrictions or blockages at these points can lead to a disruption in the flow of energy or blood around your body and thus create various kinds of pain. This might result in weakness, injury or illness. Acupuncture for fertility. 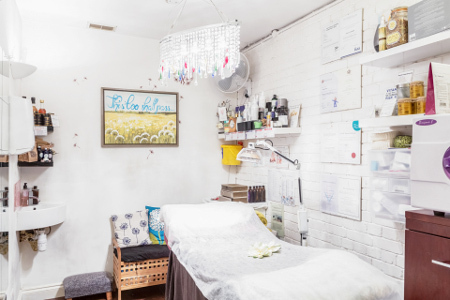 The Dandelion Wellness Centre has recently been working with Professor Homberg at the London Homerton Hospital to research acupuncture’s effectiveness on women who are trying to conceive. After using the technique on a number of women who were trying to conceive using IVF, Professor Homberg found that they did so at a rate 24% higher than those who did not use it. Cupping for healing. Cupping is an ancient healing practice where a glass cupping vessel is heated and then placed on the skin. The sucking sensation which the resultant vacuum creates is very relaxing and is designed to relieve blockages in key points in your body in much the same way as the insertion of needles. Cultures around the world – most famously Ancient Greece, China and several in different parts of Africa – have used cupping as a treatment for bites, skin lesions, pustules and infections as well as numerous other conditions for many years. The actual conditions which this technique has been used to treat or aid recovery from down the years are very varied. You can learn more by getting in touch with us to discuss your personal circumstances at any time. 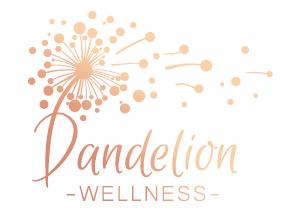 Dandelion Wellness Centre is hiring!